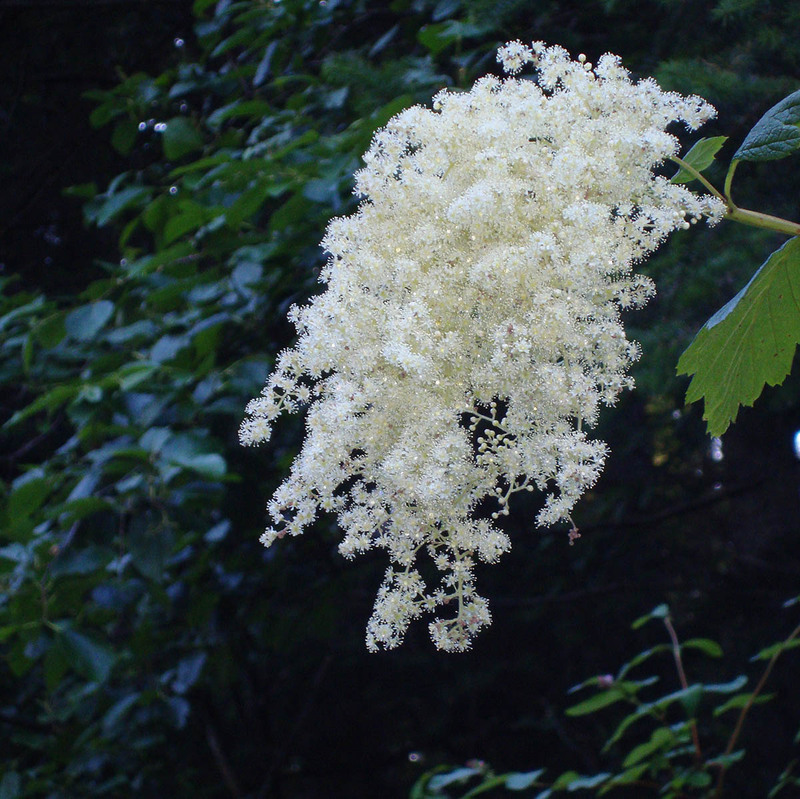 Oceanspray (Holodiscus discolor) – Supports connecting with your light-hearted, jubilant Presence to resolve the undertow of grief and heartache below the illusion of calm and tranquility. I AM connection to your lighthearted, jubilant Presence during times of grief. Oceanspray is a native plant of the Pacific Northwest that grows on dry to moist open sites mostly at low to middle elevations and provides cover for small animals and birds. It is commonly called ironwood and was used by indigenous peoples for digging sticks, arrows, hooks, needles and nails. Also, they drank an infusion of the brown fruiting clusters for measles and chickenpox. Covering over deep grief, sorrow and heartache while taking care of daily life as if everything is fine. The grief and heartache could be from loss of a loved one, loss of a dream of how your life will unfold, loss of trust in people you thought were trust-worthy or loss of innocence from trauma or abuse. This may be such an ingrained way of being that you don't even realize you are doing it. You may cover over feeling vulnerable by staying busy. Deep skin issues, like eczema, respiratory problems or feeling disconnected from your joyful Presence can be indicators that this essence would be helpful. Oceanspray Flower Essence allows old grief, sorrow and heartache to surface and be released. It opens you to feel the compassion and protection of your Angels and Guides during the process of healing. And Oceanspray Flower Essence encourages living in your own jubilant Presence, which brings a genuine sense of calm and tranquility. Oceanspray flower essence was made with the “no-pick” method of bringing the frequency of the plant spirit directly into the mother/storage bottles as they are sitting with the plant. During this process, amber, aquamarine, black obsidian (Apache tear), danburite, drusy quartz, icosahedron cut quartz, kunzite, morganite, and rose quartz crystals were placed among the plants with the storage (mother) bottles. The sun acts as a transformer to step down spiritual energies from higher dimensions. While the essence was being made, Amber acted as a lens to receive and focus sunlight for this purpose. It also aligns the subtle bodies with the physical bodies, transmutes negative energy into positive energy, and emits a sunny and soothing energy that calms and enlivens the disposition. Aquamarine calms fear and grief, and releases attachment to old ways of being. It encourages clear communication. Black Obsidian provides protection and energy field integrity while assisting you to release emotional patterns that are no longer useful. Danburite increases communication with angels and connects you to eternal wisdom. It facilitates mental clearing, deep change and leaving the past behind. Drusy quartz crystals help to energize and stabilize your subtle bodies. Icosahedron Cut Quartz has 20 (5X4) equilateral sides. It is a bridge between the 5th Dimension - the entry into the unified Spiritual realms - and the 4 cardinal directions (N, S, E, W) on Earth. Kunzite facilitates communion between your mental and emotional aspects. It opens your heart to self-love and love for everyone and everything. Morganite opens your heart to the level of Cosmic Love that is all around you. It strengthens the heart’s energy field and teaches protection through love instead of fear. Rose Quartz encourages gentleness, emotional healing, and uniting with the Divine; it shifts your body from a stress-based physiology to a higher frequency Love-based physiology. The actions of the crystals inform the way this flower essence seats into the body/mind. While the Oceanspray Flower Essence was being made, the sounds of rattle and spirit song coming through Diana's voice were imprinted into the essence.